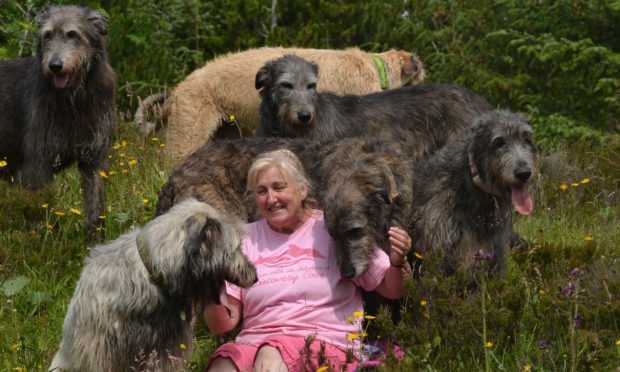 Fran Barnbrook with Tink (over her shoulder) and some of her other Wolfhounds. 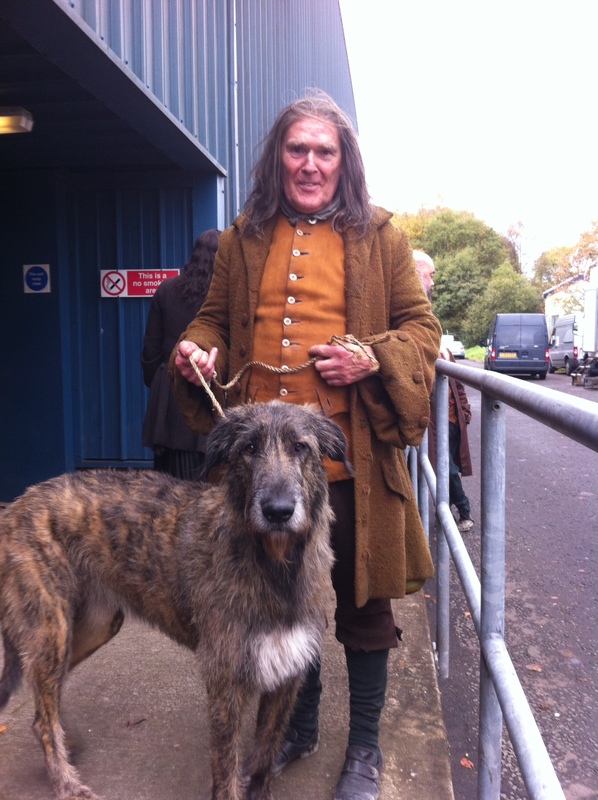 A canine actor who had a starring role in hit television series Outlander has died suddenly. Tink, who featured in the first series of the show, passed away lying in the spring sunshine. The Irish Wolfhound was once falsely accused of attacking Blackadder star Tim McInnerny, who played fire and brimstone preacher Father Bain in the Starz series. It took more than a year for producers to admit that the dog, owned by Fran Barnbrook, was not involved in the 2014 incident. Tink with owner Bill Barnbrook. Following Tink’s death Fran, who runs a kennel near Falkirk, wrote: “She died peacefully in the garden lying in the sun. It’s such a shock as she was fine this morning no signs of illness though she did have a funny turn yesterday. Fran added that fans from around the world had been in touch following Tink’s death. “She has had over a thousand beautiful messages from all over the world,” she said. “It’s really hard reading them but they are lovely. Outlander has brought the global spotlight to Scotland, with filming taking place at a number of locations in Courier Country. Scenes have been filmed at Doune Castle and Drummund Castle in Perthshire, as well as in Falkland, Aberdour and Dysart in Fife.